Burning Sea Music Video – See You There! Buccaneer: The Pursuit of Infamy – an upcoming MMO – is now available for beta testing! Sign up now, if you’re interested in checking in out. The game is still in development (of course), but it appears that it’s going to be a ship-centric MMO, meaning no mucking about as a pirate in town. But I would imagine this means more resources can be alloted to making for proper, piratey, fun ship-to-ship combat. Screenshots definitely look great, as does the trailer – can’t wait to see more. Buccaneer: The Pursuit of Infamy! Join these plundering pirates of the Caribbean at Buccaneer, the home of Infamy! 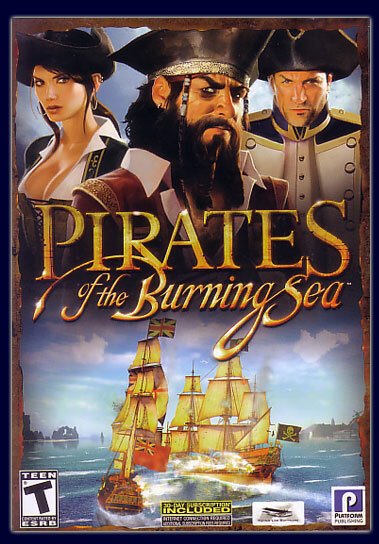 It’s been a while since we’ve had any news regarding Buccaneer: The Pursuit of Infamy. But I just got word that they’re now open for beta testing, and you, yes YOU, are invited to participate! Check it out, and let me know how it looks!